Buy Liqua eLiquid - Virginia Tobacco 30ml in Perth, Western Australia. Free Delivery* and Discount. 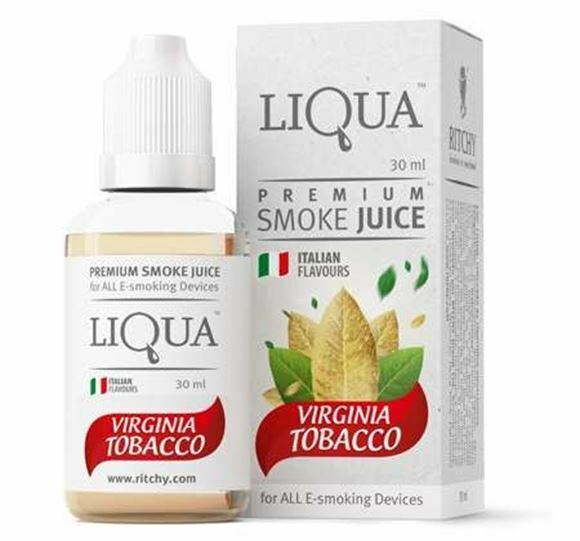 So what is Liqua eLiquid - Virginia Tobacco 30ml? The taste of classic Virginia Tobacco is accented by a subtly sweet, nutty flavor. This delicate flavor combination and smooth finish pair up to create a sophisticated vaping experience. The clean, different taste of tobacco in its original form is supplemented by the smell of sandalwood. LIQUA’s full range of tastes are designed carefully by those who really know what theyshould be – the most professional flavorists from Italy. That means LIQUA’s Tobacco taste is truly right - as fresh as natural leaf Tobacco. LIQUA Traditional Tobacco flavor is as juicy as a real green Traditional Tobacco, and LIQUA Traditional Tobacco – tastes as good as what you’ve got in your morning cup. Want to know where to buy Liqua eliquid in Perth, Western Australia? we are promising same day shipment for order placed before 4pm and express delivery overnight delivery to most part of Australia.